"Pawtuxet, R.I. Casino, Rhodes on the Pawtuxet." by Hugh C. Leighton Co., Maunfacturers, Portland, ME. 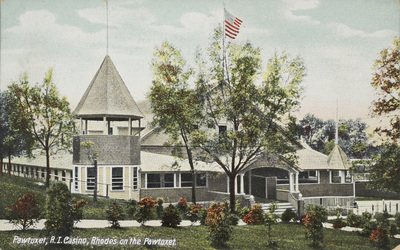 Pawtuxet, R.I. Casino, Rhodes on the Pawtuxet. Hugh C. Leighton Co., Maunfacturers, Portland, ME. Used. No postmark, but handwritten date: May 13, 1912. Hugh C. Leighton Co., Maunfacturers, Portland, ME., "Pawtuxet, R.I. Casino, Rhodes on the Pawtuxet." (1912). Rhode Island Postcards. 298.